I'm so excited to have an absolutely amazing guest for you today! Alana is an incredibly knowledgeable esthetician who has her own skincare line (!!) and skincare e-commerce site. She's an incredibly kind soul and I knew in a heartbeat that I wanted to get to know her and collaborate with her. I've been using her skincare for a few weeks now and I can truly say that my skin hasn't looked this good for as long as I can remember. My undereye circles are noticeably lighter (never thought that would happen), and my skin tone is significantly more even. 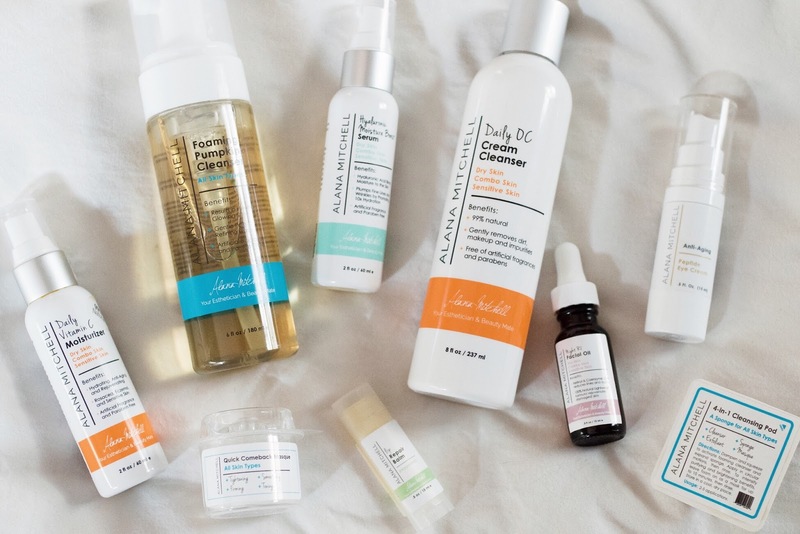 Stay tuned for the end of this post, because Alana is giving away a full set of her skincare to one of you! Hi, fellow beauty-lovers, my name is Alana Mitchell! I’m a licensed esthetician and owner of a skincare business based in Orange County, California, and I’m so excited to share some of my knowledge and expertise with all of you! Having grown up in the beauty industry, I developed my passion for skincare from a young age and eventually honed my craft as an esthetician before opening my own spa and retail space here in Southern California. Thirteen years ago, that endeavor developed into an online retail business, skincarebyalana.com, that has helped me educate and assist people to achieve their most beautiful skin; I believe in only the best ingredient-savvy products that perform well and actually deliver results! Not long ago, I was able to launch my own skincare line, Alana Mitchell Skincare, which has been such a labor of love! Being 100% cruelty-free, I test each of the Alana Mitchell products and formulations myself for efficacy and to make sure they perform up to my standard. So it has been incredibly gratifying to see some of the most recent products in the line (like the 4-in-Cleansing Pod and Quick Comeback Masque) featured on the Hallmark Channel and nominated for the CosmoProf BeautyID Awards – and seeing our local KTLA meteorologist sharing the love for us on Instagram! Because anti-aging is always a relevant topic in skincare (it’s never too early to start! ), I’m very happy to have developed such unique and innovative products that help to fight wrinkles and other signs of aging – one less thing we have to worry about! Jacy and I became acquainted through this gorgeous site, Love, Lenore! As someone who wants to remain in-tune with the world of beauty and follow fashionable trends, I’m constantly on the lookout for new-to-me sources and outlets of information and ideas. When I reached out to Jacy and let her know how much I enjoy her content and her vision, I was thrilled to hear that she was open to collaborating! 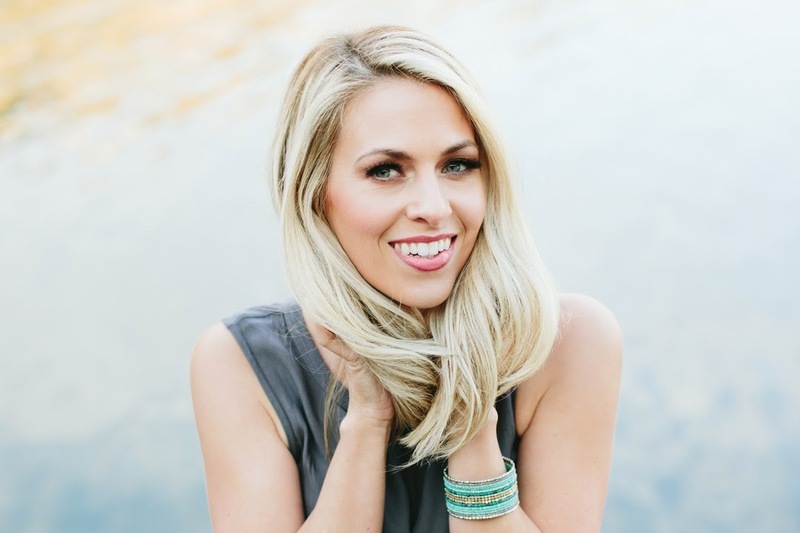 My goal is to help others uncover their most beautiful skin through education, so I jumped at the opportunity to answer some of Jacy’s skincare questions she’s tailored just for you, her lovely readers! Jacy: In our twenties, most of us are blessed with wrinkle-free skin, but what should we absolutely be doing now to help prevent and delay aging in the future? Alana: I know we all feel invincible when we’re young, but it’s super important to start age prevention now! My anti-aging motto is that it’s easier to prevent than reverse. There are three things you can do today to delay signs of aging tomorrow and into the future: find yourself an eye cream, hydrate (internally and externally! ), and embrace SPF. Depending on your skin type, choose between an eye cream or an eye gel – cream for normal to dry skin, and gel for oily or problematic skin. The formula should provide moisture to the delicate eye area without feeling heavy or greasy. I will repeat what you’ve heard a million times – DRINK WATER! Drinking water is the easiest way to keep your skin looking clear, bright, and youthful. Making sure not to skip moisturizer is also a crucial part of skincare – even if you have oilier skin, moisturizer is an incredibly important step in any morning and evening routine. I promise there is a moisturizer out there that meets your needs! I’m going to blow your mind a little: Sun damage is the biggest culprit when it comes to hyperpigmentation, wrinkles, and other signs of aging. It’s not just my mommy instincts telling you to apply sunscreen every day – it’s me as someone who is invested in skin health. SPF isn’t just for beach days! Most medical professionals recommend an SPF of 15-50 to protect against UV damage. I personally recommend getting into the habit of including an SPF of 30 or higher into your skincare routine. Besides a regular sunscreen, SPF can be incorporated into tinted sunscreens and moisturizers, and finding one with SPF 30 isn’t difficult. Apply daily as the last step in your skincare routine (before your makeup) and you’re good to go! Jacy: As someone in their twenties with a limited budget, what products should I prioritize with my spending? Alana: Ever heard the term “less is more”? This can apply to all sorts of things, and is especially important when considering a budget. So, be on the lookout for products with multiple benefits in one! Maybe your serum has Hyaluronic Acid and pulls double duty as a moisturizer. Or maybe you found a moisturizer you love that also has SPF 30. With skincare, there are some amazing products that can do it all – talk about multitasking #goals! Jacy: In a sea of skincare brands and products, what ingredients should I be looking for that will actually help with different concerns, and what ingredients should I be watching for that are just fillers? Alana: There are some fantastic ingredients out there, like Glycolic Acid and Retinol that can work for all skin types (in moderation). Glycolic Acid promotes the shedding of dead skin cells, revealing a layer of smoother and softer skin. It treats conditions such as oiliness, acne, blackheads, and fine lines. Retinol repairs damaged skin, from stubborn pimples to wrinkles and dark spots. It also increases cell turnover and encourages collagen and elastin production. Depending on the formulation’s concentration of ingredients, it can do so without irritation -- phew! Vitamin C and Hyaluronic Acid are great for all skin types in general. Vitamin C is perfect for anti-aging and an excellent source of antioxidants to fight free radicals. Hyaluronic Acid is great for hydration: it binds moisture to the skin, and plumps fine lines and wrinkles. My rule of thumb? If you can’t pronounce it, Google it. Sometimes the ingredients you read could be the real deal, but more often than not they’re fillers. Jacy: As someone who is still fighting hormonal acne and often sensitive skin, how do I balance an anti-aging skin regimen while also working to prevent breakouts? Alana: Spot treating is ideal and will be your best friend! Fight acne with a combination of salicylic acid and glycolic pads then follow with balancing and nourishing acidophilus probiotic cream. Make sure you include an anti-aging eye cream because the skin around your eyes is delicate and the first place you will see aging. Once you’ve found a balance that works for you, your skin will glow! So much good info, yes?? Pictured above is her full skincare line that one of you will win! After years of struggles with my skin, I'm so happy with the progress I'm seeing while using her regimen.